Do you think you may have Knotweed in Bridgend? Have you read online how this is going to set you back £1,000’s? Are you worried it could affect your mortgage or you selling your property? South Wales Knotweed Removal can supply professional and qualified services for the treatment and management of Japanese Knotweed in Bridgend and be assured it doesn’t cost as much as you might think. Contact us on 01269 591651 or 07531142316 and one of our Knotweed Bridgend experts can answer any queries you may have and can arrange a site visit to assess if you have knotweed as well as advise you of the best removal and control options for you and the area you are in. Japanese Knotweed is a perennial weed that will grow and advances fairly quickly if not managed. The weed suppresses other plants and flowers growing around it from it’s crown and rhizomes (root system) that spread extensively below the ground. The shoots die off above ground during the winter and re-emerge above ground once more at the end of springtime, early summer season. Any established shoots can grow over 9ft high and can colonize the soil within a few years. 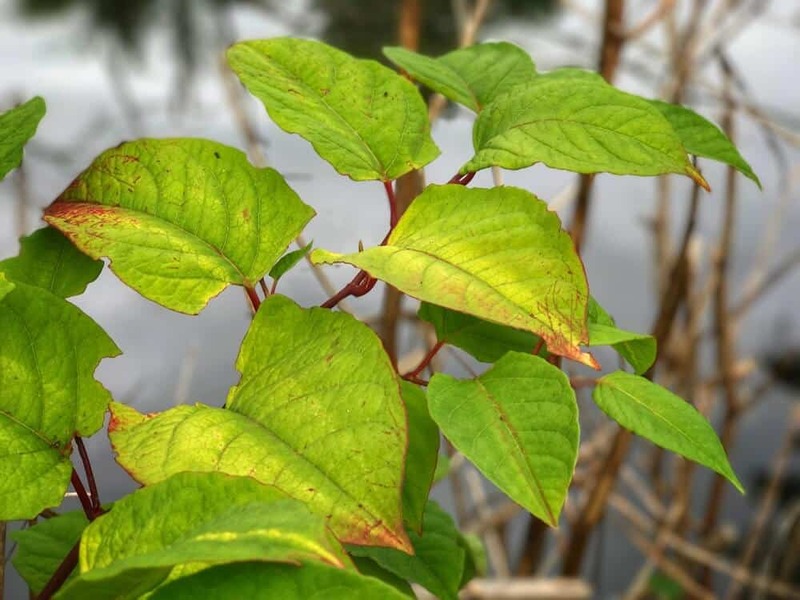 Beware as there are several articles that say you can kill the roots with certain chemicals, however, you’ll need an NPTC qualified person to apply any chemical substance as a result of new legislation which covers the management, and removal of Knotweed. There are several common myths that say it is possible to remove Knotweed yourself, however, it is an extremely hard and intricate procedure and in most cases, not successful unless you use a knotweed specialist. In the peak of the growing season 60% of the Knotweed plants roots are below ground so removal is quite difficult and it spreads wildly from one tiny fragment of crown or rhizome. Removing Knotweed material without having extensive knowledge carries a high risk of distributing the plant to other areas of the soil which were previously unaffected. There are many methods of removing Knotweed and a Knotweed Specialist like South Wales Knotweed Removal will be able to advise you of the best and most effective procedure for you and your circumstances. Stem-Injection is usually a low impact approach to removal and there is little chance of disturbing or killing the plants and flowers growing around it. The stem-injection technique is used for smaller areas of Knotweed where it has established itself amongst plants and vegetation that you might want to keep. It is also a technique generally applied when Knotweed is close to a watercourse. The stem-injection process can be used in dry or inclement weather conditions and the soil cannot be disturbed following a treatment. Foliar Spray Application is often used and is one of the most favourable control methods along with stem-injection. The process is used to manage the Knotweed over numerous growing seasons. Determined by the size of the area of Knotweed is it is often sprayed 2- 3 times in the first year and once in the subsequent years. The chemical used is an Environment Agency approved herbicide and requires dry weather conditions and the soil to remain undisturbed in subsequent years in order to work. Weed Wiping Method is the leaves of the plant being wiped with a sponge which is soaked with the required herbicide. It is a low impact treatment and does not kill or bother the plants surrounding it, nevertheless, its use depends on the size of the area of knotweed. Bund/Stockpiling Method is a combined treatment using stem- injection or foliar application, followed by digging up the underground material and removing the soil and material to a different location in which the emergence of ‘new shoots’ can be subjected to additional herbicide application. This approach can be used on sites where you need the removal of the knotweed to be quick and not done over several seasons so is consequently especially good for building plots and development sites as work can carry on straight away. Cell Burial/Root Barrier Method is a treatment applied when there is adequate space on site to make a cell burial or utilising a root barrier to avert the significant costs of transporting the soil and waste to landfill. Cell burial buries the Knotweed waste to a minimum depth, or if encapsulated within a geomembrane it can be closer to the surface of the ground. Root barriers can be installed both vertically and horizontally when there is a danger of cross-boundary contamination. Again, an approach frequently used on development sites when construction work has to start promptly. Excavation & Removal Off-Site is a legitimate and quick control alternative which has its advantages for development sites if performed correctly, however, a great deal of Knotweeds Authorities aren’t advocates of it mainly because it raises considerable logistical problems. The challenges being there is an extremely high risk of the Knotweed spreading in addition to the cost to safely transport the material to a designated landfill site. There is also a considerable duty of care requirements under the Environmental Protection Act( EPA ) 1990. In summary Excavation & Removal should only be used as an absolute last measure. In simple terms, Japanese Knotweed is not toxic and harmful to dogs, cats, humans or any other animals like some other extremely invasive plants. It is not harmful to touch, nonetheless, always use extreme care when close to it to prevent unintentionally allowing it to spread. Japanese Knotweed could possibly be known as ‘poisonous’ by developers and homeowners because of its highly invasive growth, ability to spread from a tiny particle left and just how difficult it is to eliminate fully. Essentially, if the previous groundwork or construction has been carried out to a sufficient standard then Knotweed will not grow ‘through solid concrete’, it does not destabilise solid foundations and it is highly, highly unlikely to ‘cause’ architectural damage. The fact is, these claims are deceiving, to say the least, and perhaps, totally false. However, in a few instances, if your foundations or concrete are old, badly built and have pre-existing cracks or fractures within, then Knotweed will certainly take advantage of any weak spot in its quest for light and water and will rapidly establish itself, whilst exacerbating the original fracture and perhaps cause the structure to disintegrate. Why Choose South Wales Knotweed Removal Services? South Wales Knotweed Removal Specialists covers the whole of South Wales (including Bridgend Swansea, Cardiff and Newport), West Wales up to North Ceredigion & Powys and throughout South Glamorgan & Gwent. Additionally, we also carry out contracts in the West Country, as far North as Shropshire and into the Midlands & Birmingham areas. We are a fully qualified Japanese Knotweed Certificated Surveyor (JKCS) and offer a free site visit to assess if you have knotweed and be able to recommend the best removal and control method. We are a family run business who offer bespoke and specialist Japanese Knotweed Services adhering to all of the Knotweed legislations. As well as specialising in the control of Japanese Knotweed, we also offer treatment methods for other invasive plant varieties and ‘general nuisance weeds’ that are found in the UK for residential premises and property development sites. We also provide tree services, such as pollarding, crowning, pruning, felling, through our NPTC chainsaw operators, all of whom possess a vast amount of experience within the forestry industry. While there are plenty of contractors who operate within the United Kingdom weed control industry that are reputable, knowledgeable and thorough specialists, you will find there are plenty of businesses who claim to have the experience, qualifications and accreditations to ‘eradicate’/ ‘eliminate’ Japanese Knotweed at low cost. Nevertheless, we would advise you to be extremely cautious and to make sure that the contractor/ company you enlist carry out the control services are qualified and that they comply with the industry codes of practice and all current legislation. Call us on 01269 591651 or 07531142316 and one of our Knotweed Bridgend experts can answer any queries you may have and can arrange a site visit to assess if you have knotweed and advise you on the best removal and control options for you and the area you are in.